It is summertime once again, but this season isn’t always the best time for everyone. For example, the elderly are often not well-suited for extreme heat. 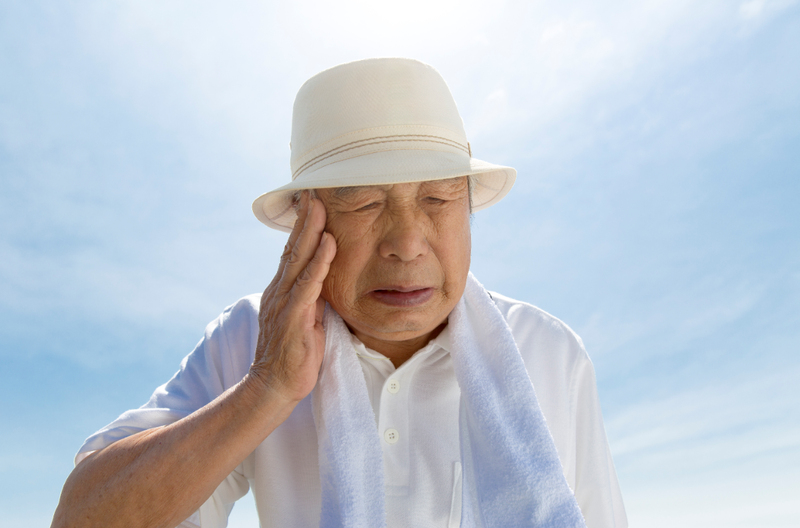 Considering their inability to perspire as effectively as younger people, older adults aged above 65 years are at greater risk of heatstroke, kidney failure, heart attack and dehydration. Always drink plenty of water and cold fluids to keep yourself hydrated. It’s recommended that you drink between six and eight glasses of cold water daily. Taking a cool shower at regular intervals throughout the day can help ensure you don’t overheat. Alternatively, you may also use a wet washcloth to wipe down your body. When the heat gets to extreme levels, dip your feet in a pan of cool water to counter the rising temperatures. It’s advisable you avoid coffee and iced tea that contain caffeine during summer to avoid frequent visits to the restroom. Caffeine’s diuretic effects can cause dehydration, especially during intense heat. Drinking alcohol is also not recommended when the temperatures rise. Keep your home and living area as cool as possible by installing working air conditioners and using solar curtains during the hottest part of the day. Closing blinds may also help regulate room temperature during the day. Avoid direct exposure to the sun, especially during the hottest part of the day. If you must stay outdoors, then sunscreens and lotions will come in handy in preventing sunburns and damage to your skin. Eat cold meals and cooling snacks such as pasta salad, frozen peas and homemade popsicles to keep yourself hydrated throughout the day. Heat illness is a medical emergency that must be treated quickly to avoid serious complications. If your elderly loved one is showing signs of heatstroke, take them to a cool environment as soon as possible. Place a wet cloth or ice packs around their neck, groin and on the armpits to regulate body temperature. If there are any complications, seek medical help as soon as possible. If you need more help keeping cool in the summer, consider getting in touch with Active Home Care. Our caregivers offer specialized home care services that involve taking care of seniors during the blazing heat associated with the summer weather. Call us today or visit our website for more information, and schedule a free home visit today.